Madhacker.org – If it can be modified, it should. 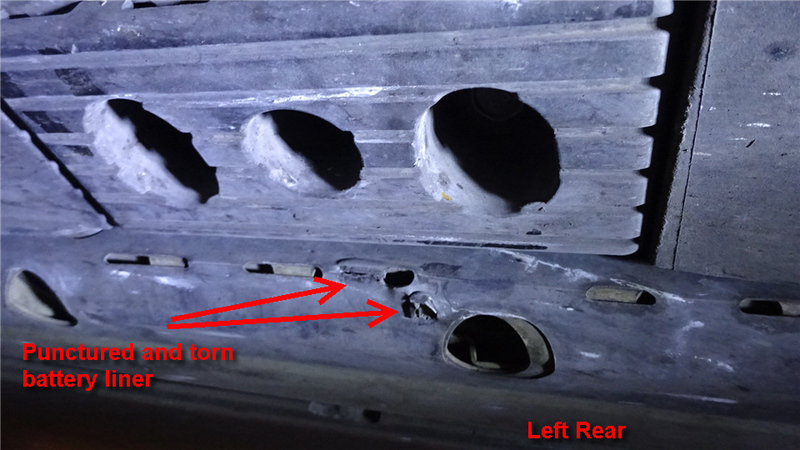 There are many photos showing of damage around lifting points due to misaligned, or missing jack pads. Tire shops are very sloppy about it. And to make your average garage jack lift it correctly, requires fine placement. My jackpad, is made using 3cm high quality , industrial rubber sheet from Dunlop. 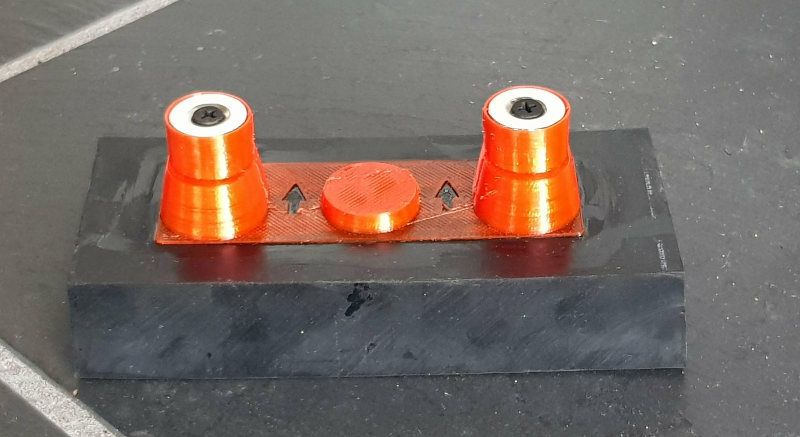 Then I add an Thermoplastic polyurethane part, that makes sure it can only fit one way,(the correct way) to the jack pad. Finally, some strong neodymium magnets will hold it in place, while you place the garage jack under. 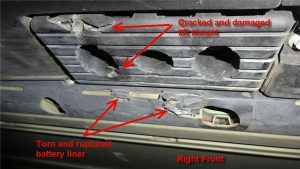 Once you get familiar with it, and where the jackpoints are, you don’t really need to look under the vehicle. Just move it around till it snaps into the spot. Now the garage jack can be placed roughly beneath, and will still lift the car exactly as supposed, not touching anything else. 3DR Solo Cube (Pixhawk 2.0) outputs 3.3v PWM, the IO buffers run off 3.3v on both sides, while they are perfectly capable of delivering 5v. 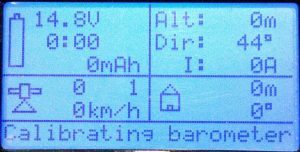 Using 5v is safer when using 3DR Solo firmware with PWM slew rate, and required for ArduCopter code on Solo. 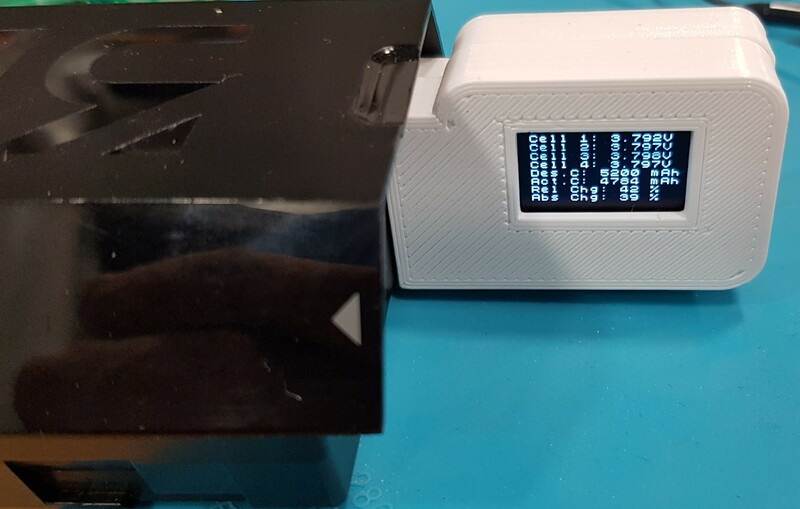 The alternative solution, is to modify Solo’s Pixhawk 2.0 Cube. 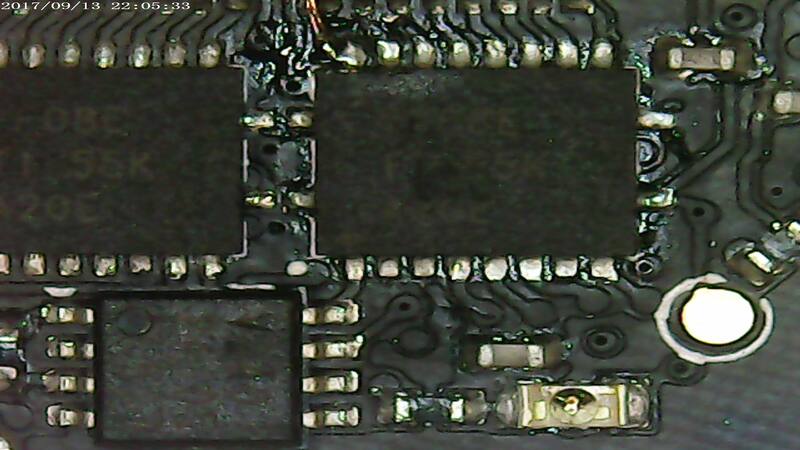 This does require some soldering skills, and can be done by any semi-decent repair shop if you cannot do it yourself. 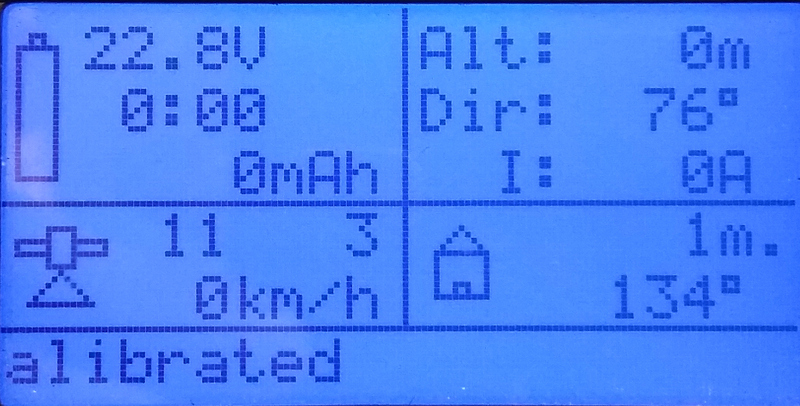 Congratulations, output 1…8 output is now 5v. 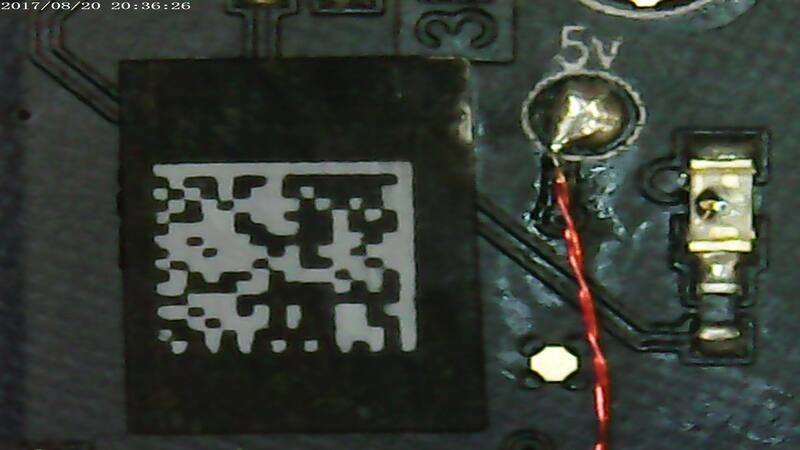 Final note: the UV inspection picture picture shows another buffer, not used for PWM, the photos are taken on different occasions, and while batch processing many, not only one, so the time is not 30minutes between desolder and resoldering one device as timestamp may suggest. Should you use a professional to do this job, it should take <15 minutes. 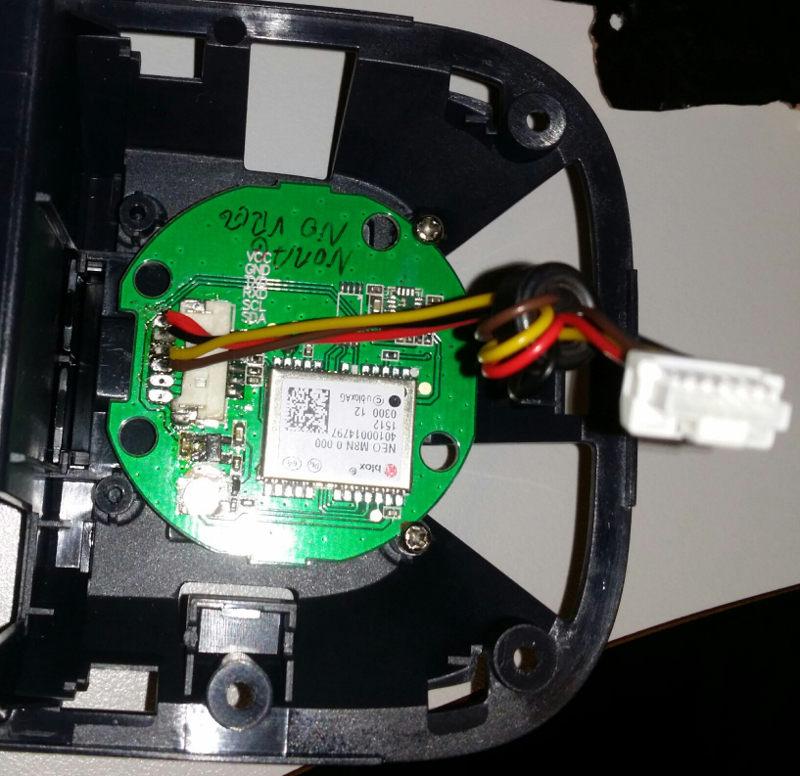 Modified files for uploading using Solex (Just copy into /Solex/download/package) – The only modification is to make Solex ignore the fact that the modified cube still runs the old 3DR fork of ArduCopter. Once you upgrade to the 3.5.2 I provided here, you can continue to upgrade to newer versions using SSH /Solex and/or OpenSolo as if you had the greeen cube. several sellers on Ebay sell them for less than US$15 including shipping from China. 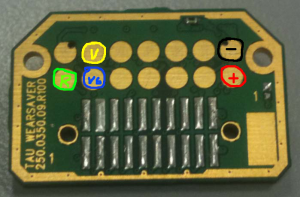 Remove Solo’s GPS module, by making two small grooves in the pcb where the two screw-holes are, the PCB if held in place by the two original screws. In stock, shipping as usual. 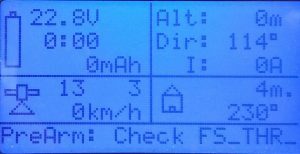 3DR Solo battery packs have lots of information that the average user will never see, they are also very nicely calibrated for voltage (cells and pack) as well as current. 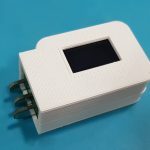 Some of the information, like capacity, cell voltages, cycles, past low voltage condition, cell voltage difference, and manufacture date may be very useful. Health data is very useful as well. Below: two devices, one as delivered, the other with an XT60 connector for charging. It’s easy to solder on XT60, charger cables, or other connectors right on the main connector. 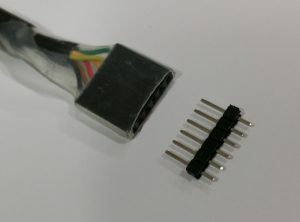 The XT60 is there just for illustration purposes, it’s easy to solder on most of the typical connectors (XT60, EC3) directly, the rest can be soldered on with wires. 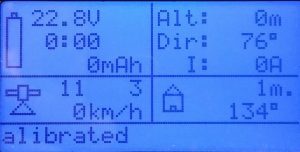 The device is not doing any calculations on it’s own, data is read from the battery, and presented. Cell voltages for cell 1…4 – should be self-explaining, any healthy pack will have very similar voltages after a flight. Design capacity is what the pack was designed to be. Actual capacity is shows the actual capacity as the pack ages. 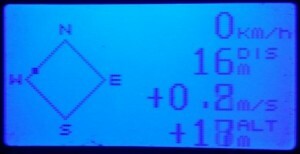 Relative charge level is based on actual capacity of the pack. 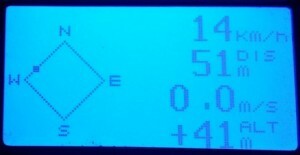 Absolute charge level is based on design capacity of the pack. Manufacturing date in Y-M-D format. Cycles: how many times have this pack been used. 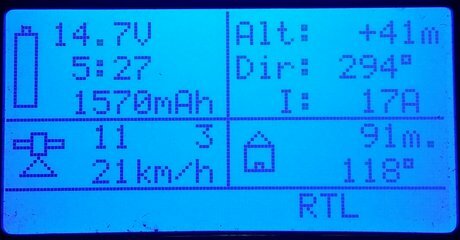 This is increased when discharged_capacity_since_last_increase > design_capacity. 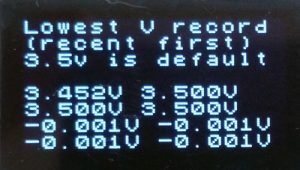 The status word is bitmapped at least two bits we know are used, one indicating charging/discharging, the other tell if the factory calibration data is OK.
Should factory calibration data ever be corrupted, then you can never know if a reported voltage/current (used for capacity calculation !) is correct, and it’s dangerous to fly with such a pack. A very clear warning will be displayed. 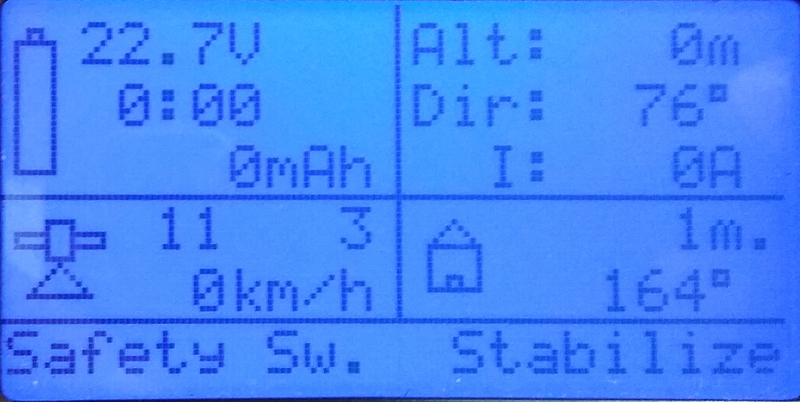 Firmware >=1.5 say “Initialized” when BMS is calibrated&configured properly, or “NOT” initialized” if not. There is also a warning for internal resistance deviation. There is a “Cell Change” warning, I do not know what can cause it, or what exactly it means – both warnings above are for illustration purposes, I have no packs with such condition. 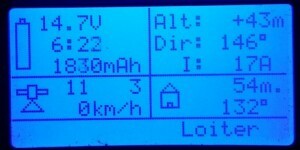 Status is expected to be 128(charging) or 192(discharging) , 16608 is a fully charged battery. (Thanks to Bob that found that). 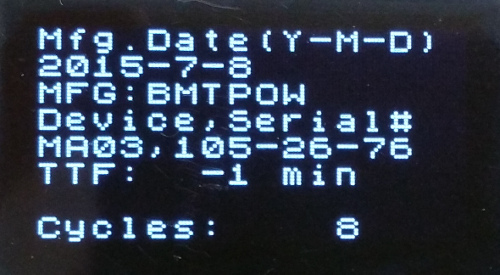 Since firmware 1.5, status understanding is much better, and most data is presented as text. I’ll update this page based on user reports. – Displays eight last low voltage records, some values are initialized as 3.5v, but it is the lowest values that indicate if the battery has ever been close to deep-discharge. 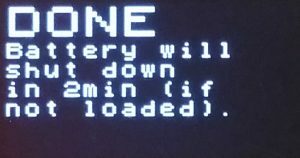 If the battery pack is connected, but not charging – after 180seconds, the DONE message will show, two minutes later the battery will switch off. 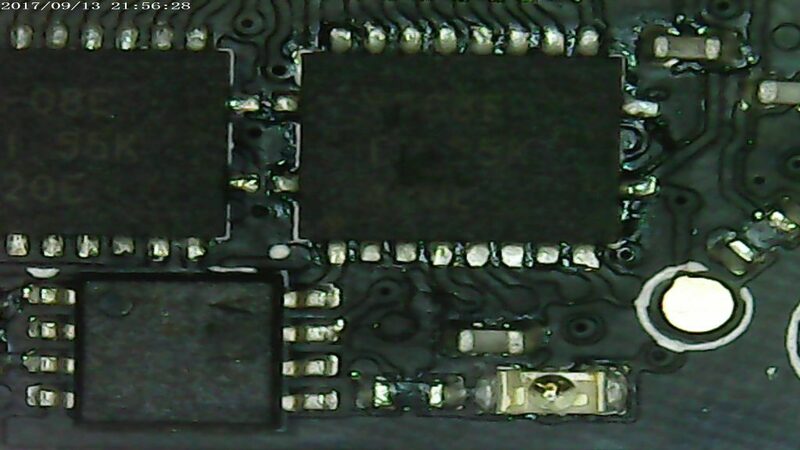 This dataset is being outputted to FTDI interface at 115200baud, one at 1hz. The device will not go to sleep once you used the battery button to select an screen. Of course, you are free to do whatever logging you wish, the format is basically semicolon delimited, and temperature, cell voltages are multiplied with 100/1000 so you don’t need to parse thru commas. Plug into battery , switch on battery. 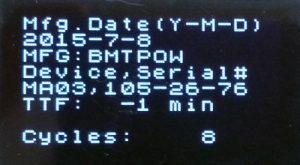 There is an custom bootloader on the device, so when I figure out more about the battery, it’s possibly to upgrade it using a standard FTDI cable and the avrdude tool (for Linux,Mac,Windows). FTDI cable, with an extra pin header. 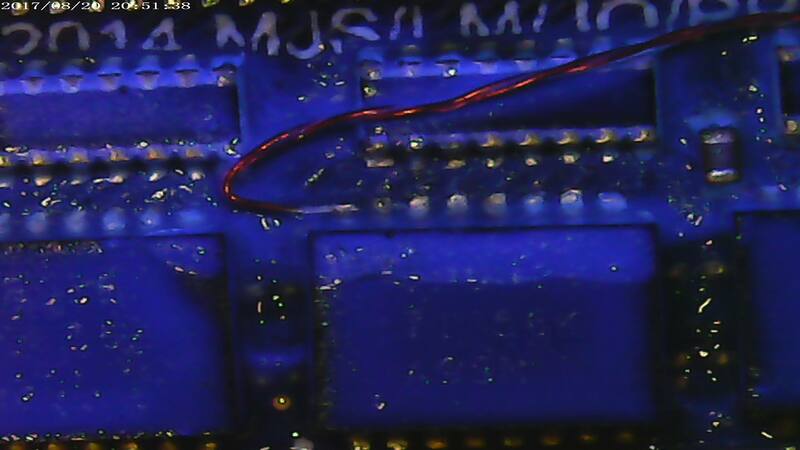 Insert pin header into FTDI cable, the protruding, short pins will fit into the SoloBatt_OLED’s six pins on the edge of the PCB. You will need to cut away or puncture a little bit of shrink-wrap to access the edge. 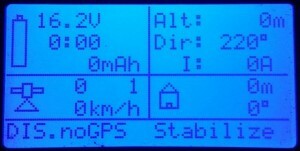 To write the new firmware you will need the avrdude application. If you are using windows, replace /dev/ttyUSBx with COMx , also, in windows, you’ll need some FTDI drivers. 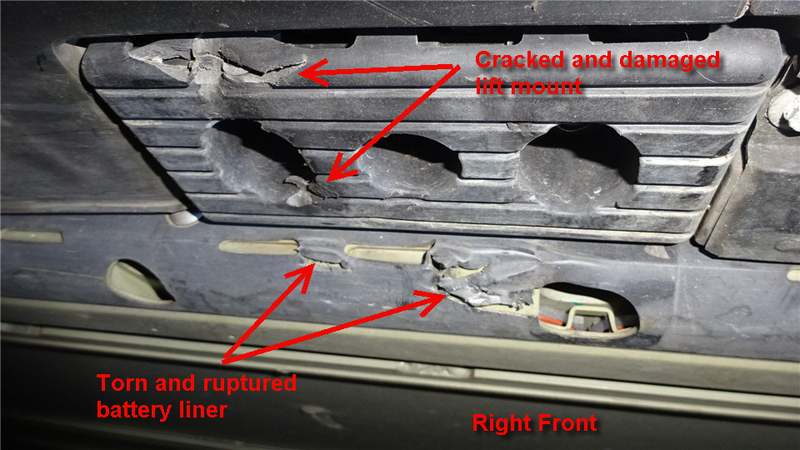 Warning if the battery has detected uneven internal resistance. Three digits in cell voltages. 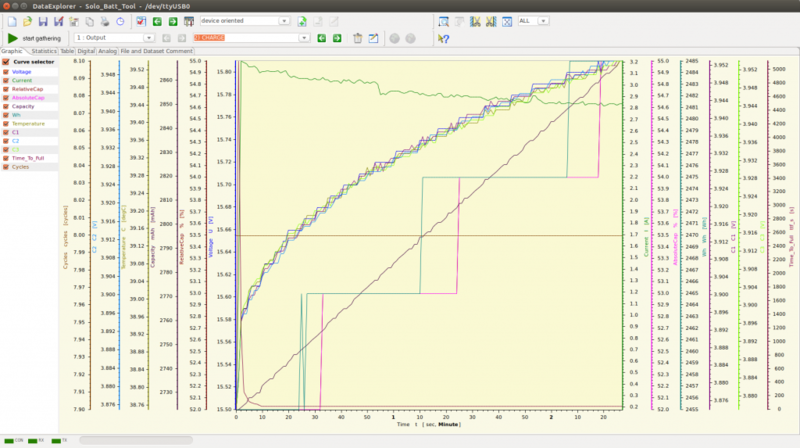 Serial logging for Dataexplorer plugin (and any other data collection). 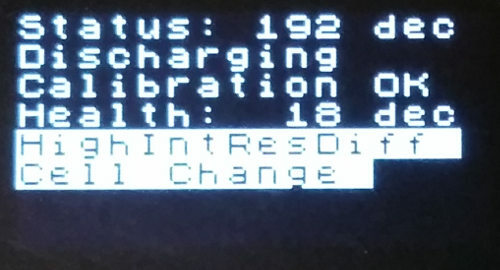 Cosmetic fix for long status numbers on OLED display. 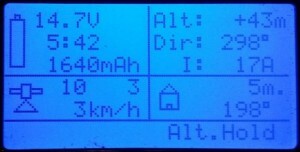 Pressing the power button on the Solo battery jumps to next screen, pressing button loads next screen, and disables the default time-based change. (you can watch one as long you want). Manual page change disables auto-off. 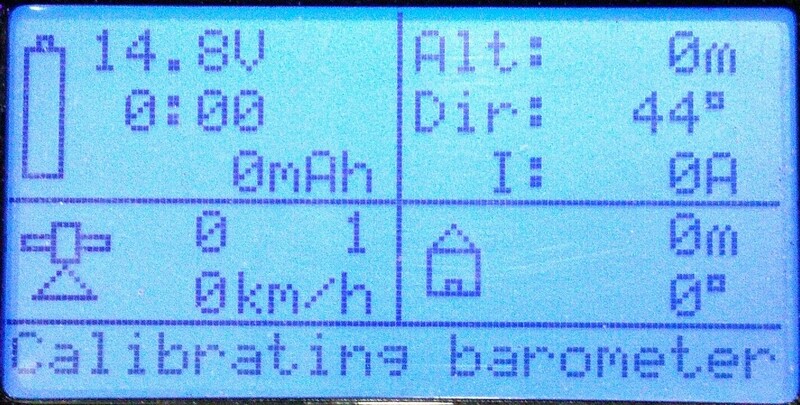 The old status “Calibrated” is now replaced by “Initialized” – which means not only that the voltage/current sensors are calibrated, but also that the BMS is configured for proper operating limits and parameters. 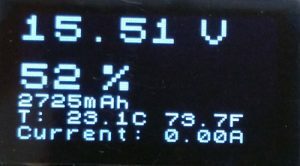 A “NOT initialized” battery means improperly set/default BMS configuration. 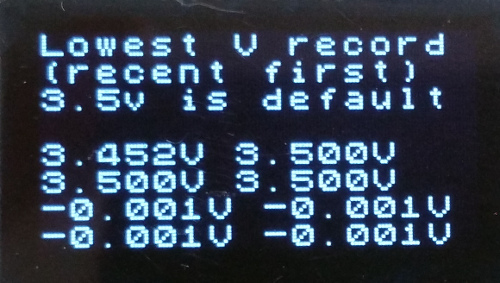 Moved the splash screen to back, now you see voltage & SoC om the first screen, no unnecessary delay. More (odd) errors are reported as text, most error codes & bits are known. RC, PWM control for QX1. 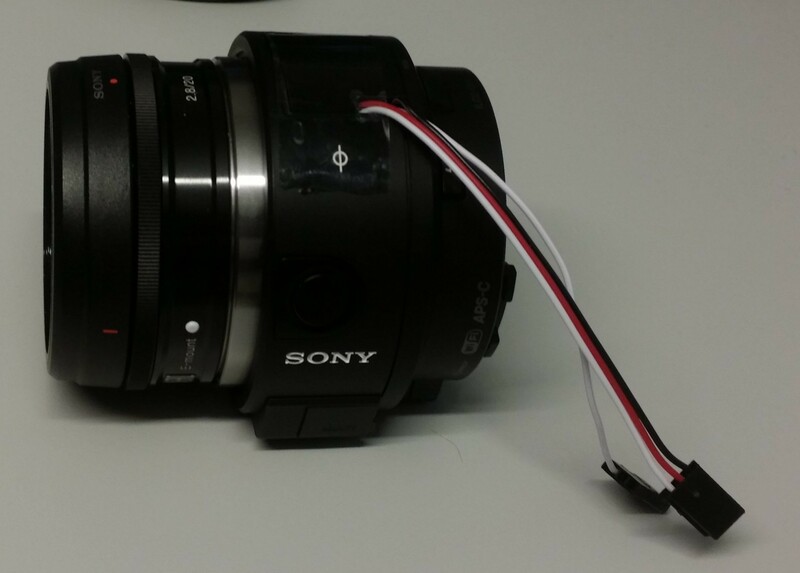 Sony ILCE-QX1 has great specifications at low weight, which makes it good for UAV photogrammetry use. It can be configured using WiFi , then retain the configuration. (so it’s not necessary to even enable wifi for each operation. 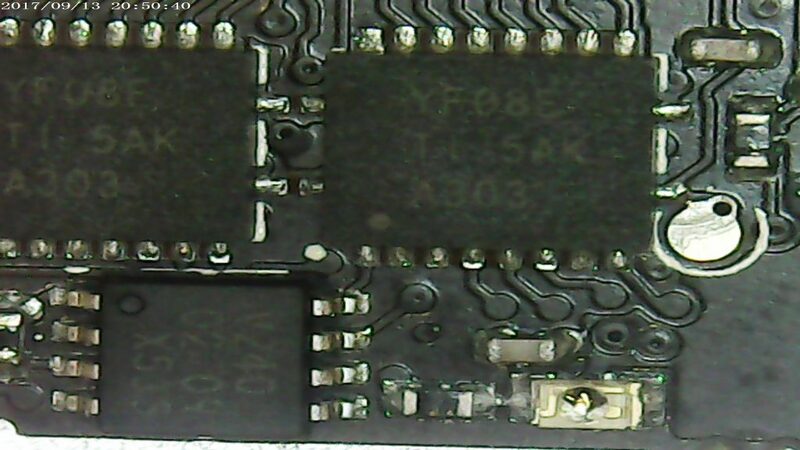 The pop-up flash assembly is removed, an microcontroller replaces the flash assembly, it’s interfacing the motherboard indirectly, via FPC. The flash cover is slightly cut to make space for the servo (PWM input) and logic level output that indicates shutter operation. 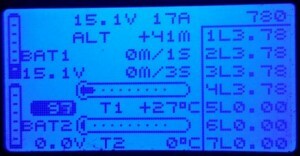 The camera will continue to function normally as before when the PWM interface is not supplied with power, except for the flash. 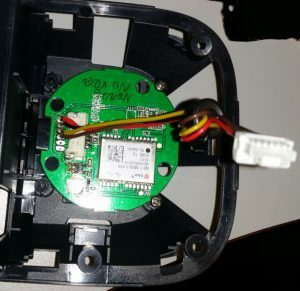 Camera will not shut down when inactive..
1-wire logic output (high on shutter) -allows precise GPS positioning of each photo, and confirmation to the AP that photo is taken. I can convert your camera, but I am unable to provide QX1 cameras from Norway. A quick demo, switching between 8 modes using a servo-tester. The TAU640 in this video is set for outdoor use, and does not show the full advantage of Ice&Fire modes inside. 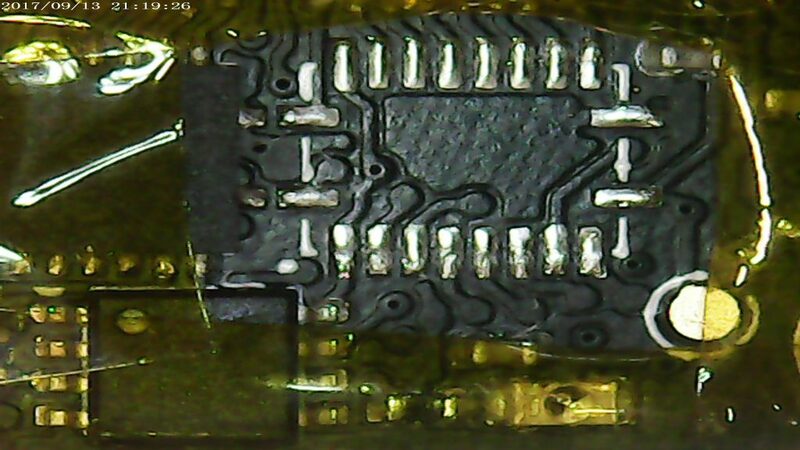 A microcontroller on a small PCB (18x33x3mm) with soldering pads. Preprogrammed with 8 different modes as in this video, or up to 10 custom modes (as ordered). 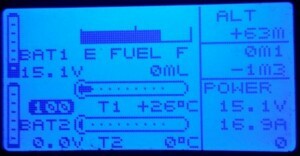 The modes are selected using a knob on your transmitter, PWM decide mode, just like a servo position. The common modes in this test video shows 8 modes I’ve found very useful. FLIR TAU ,TAU2, or QUARK thermal core. For Quark , you need to connect the serial signal to pin 15 of the Samtec 60 pin – connector. or to the breakout board, if you that. 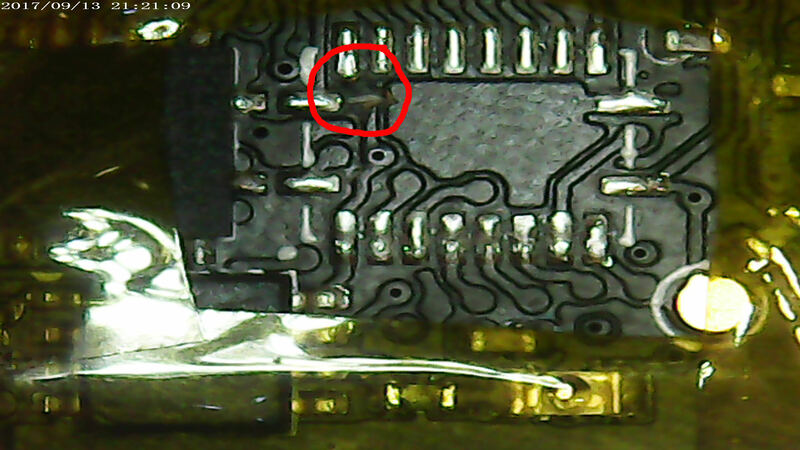 Connect pad8 on the device to your RX pad on wear saver, thats solder pad with green ring in the picture below. Finally, for information only:composite video out is on the yellow pad, and video ground on the blue pad on the TAU wearsaver. 1, white hot, no zoom , spatial threshold gain 34d. 2 white hot, 2x zoom, spatial threshold gain 34d. 3 Black Hot, no zoom , spatial threshold gain 34d. 5 Fusion,no zoom, spatial threshold gain 34d. 6 ICE & Fire, no zoom, spatial threshold gain 34d. 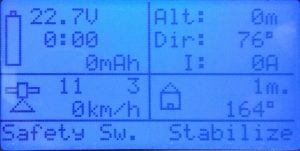 You can output a PWM from an autopilot, controlled by GCS, having any GUI you prefer. 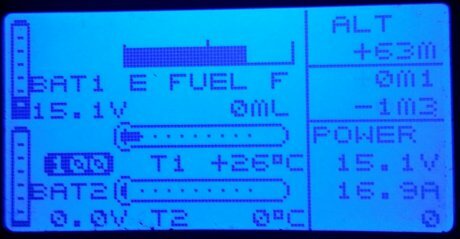 – Or , if you are will be controlling the PWM directly from a RC radio, you do not need a rotary knob with steps, it’s perfectly easy to hit desired mode even with smooth knob due to the quick visual change, and equal “distance” between modes. 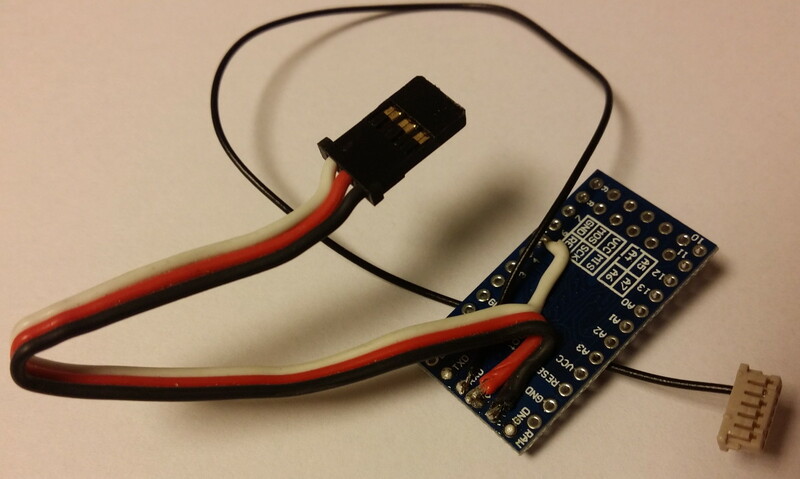 How to hijack a drone by telemetry – and prevent it. My professional background is network and Internet security, I quickly discovered the huge risk of an hostile takeover of UAV midair. 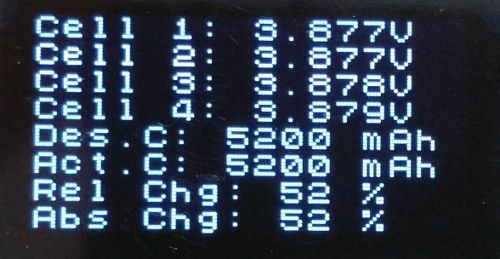 My experiment is based on 3DRobotics telemetry radios. but works with many more radios, based on the same, open, solution. Please note that this is not a security risk of Ardupilot project, ArduCopter, ArduPlane is *not* to blame. You may get an idea that some changes should not be allowed while armed, but that’s not a proper solution. Having all the options we have, after all, GCS is a device to be trusted, and the primary control during a auto mission. Radios lack proper security, mostly due to limited processing power for proper encryption. We are left with an simple attempt to secure the data, which is very easily worked around. The open nature of the project, makes it impossible to truly protect the transmitted data. The radios do not have space & processing power to use public&private certificate based verification of data, also we would need a simple and a method of letting users selv-sign/generate such certificates for as many radios they needed in a network. 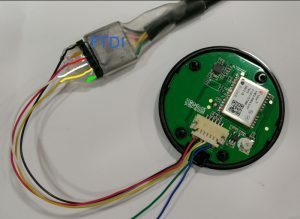 The current attempt to secure the transmission is based on radios dropping packets branded with different NetID- and the frequency hopping pattern to be seeded by the NetID. So knowing or guessing one UAV’s (or companies) NetID, (provided it’s even changed from the default one) , enables anyone to send packets that are perfectly valid on the network. When it finds valid packet with NetID, it learns active frequencies, and changes it’s frequency hopping to the pattern of that particular NetID – locking in on it. – whole process takes ~1second. 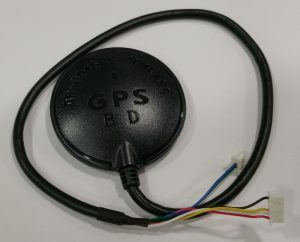 By connecting BlackSheep to any GCS, we have instantly a valid connection to a nearby operating UAV. Hijacking the drone in real life. pointlessly evil hijacker could just disarm the drone midair or send MAV_CMD_DO_FLIGHTTERMINATION – but that’s not the goal here. 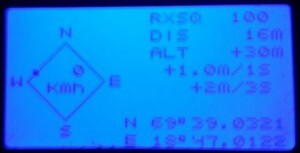 send, and repeat a few times: SR?_* = 0 – disables all telemetry output from AP , make the radio go silent. 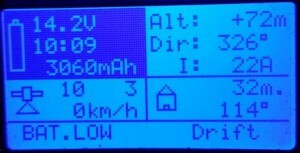 This will also reduce amount of packet collisions if we have 3 radios operating. (UAV is the one occupying most of the radio time) – now the victim GCS operator does not get any more updates. Then we set all control FLIGHTMODE_? 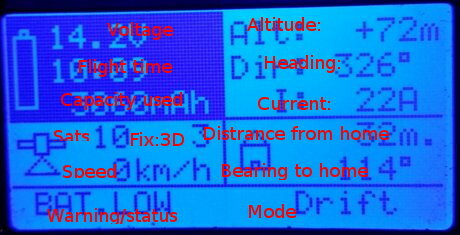 to AUTO or Guided (by preference), and disable FS_Throttle and FS_GCS , CH6 and other programmable options are disabled. The pilot with RC can’t do anything anymore. 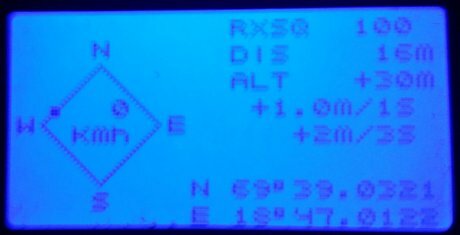 Enabling SR?_EXT_STAT – gives the hijacker RAW GPS data, altitude, speed – this data is usually not visible on a GCS, so the victim can’t see it – but hijacker knows where the UAV is. 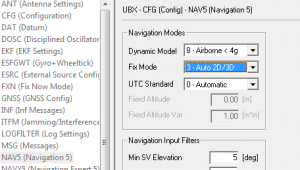 Uploading a mission, or Guided mode instructions sends the UAV to wherever hijacker wants – victim have no valid input, and cannot see it in GCS, all he gets is Mavlink heartbeat. Finally, for the extra evil touch hijacker can inject Mavlink MAVLINK_MSG_ID_GLOBAL_POSITION_INT packets (as if autopilot was sending it) with proportionally incorrect data, so we could get the victims GCS display and log the real movement, with actual speed, but in different direction, misguiding as to where the UAV went. I skipped a few trivial steps, like setting higher cruise-speed, and few platform dependent commands – but the short summary should be frightening enough. What can be done to prevent such hijacking ? Fly without telemetry radio, reducing mission control and control redundancy, not good. 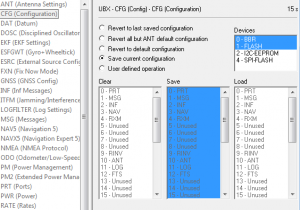 Use cellular network to get TCP or UDP control, limited coverage. Use wifi, very poor range. 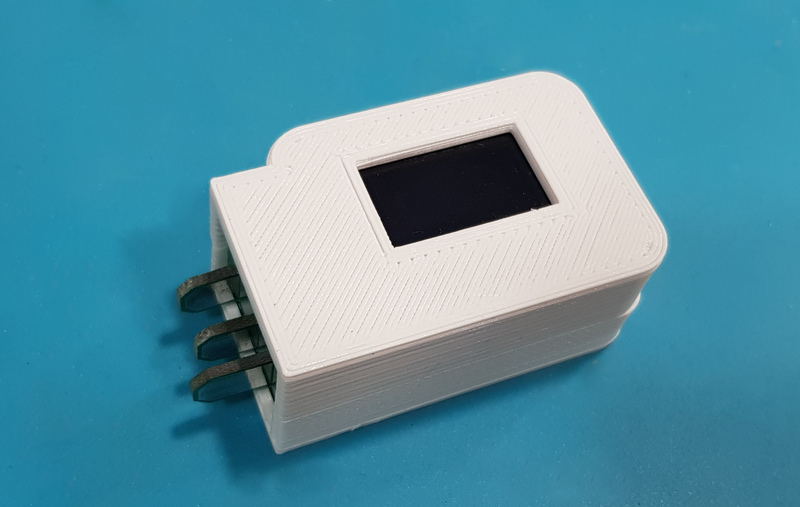 Continue to develop open solutions with hardware limitations that limits us to very simple security solutions, like the one in use today – very easy to circumvent. Use customized, specialized, closed solution that offers good security, it is not proper certificate based encryption, but rather an odd, but very effective scrambling. 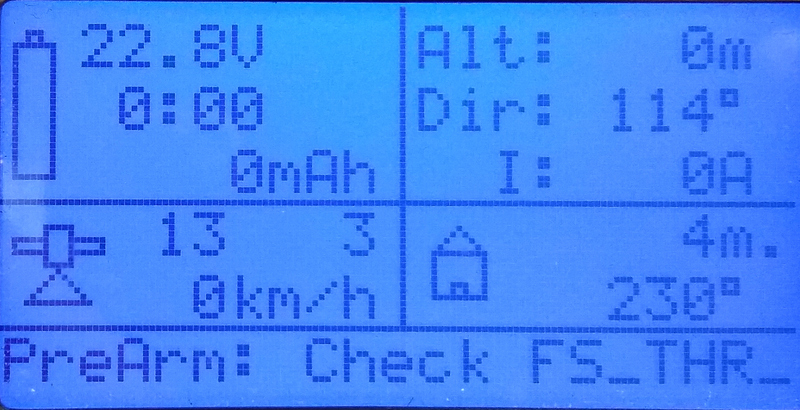 Effective mostly because the firmware is locked down, and not easy to analyze. 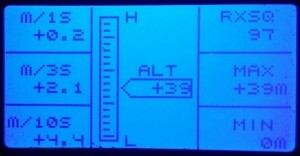 Telemetry radios , 433/900Mhz are great, most aviation authority approved approved flights , professional or hobby, are within VLOS, where these radios perform great. The fact the source i open, is not a drawback, but a strength. It allows people like me to detect security vulnerabilities, like many other can do, and documents them, or protect against them, so others cannot silently abuse them, without users understanding what’s going on. 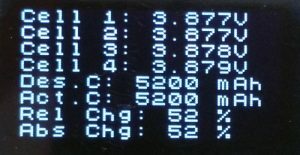 madhacker.org existed since ~1995 Originally it was a site about my buildlogs, hacks, modifications, and technical that you may call a “blog” today. With time – I’ll restore some more of the old articles, most of it will be very outdated, stored just for fun.